From 1994-2001, Grolier, Inc. published a series of collectible cards called Story of America. They were issued by subscription only in decks of 20 cards, one deck at a time, and each card featured an historically significant event, place, or person in American history. Frankly, I never even heard of this set of cards, but if I had I doubt I would have guessed there could be a card for a book collector. 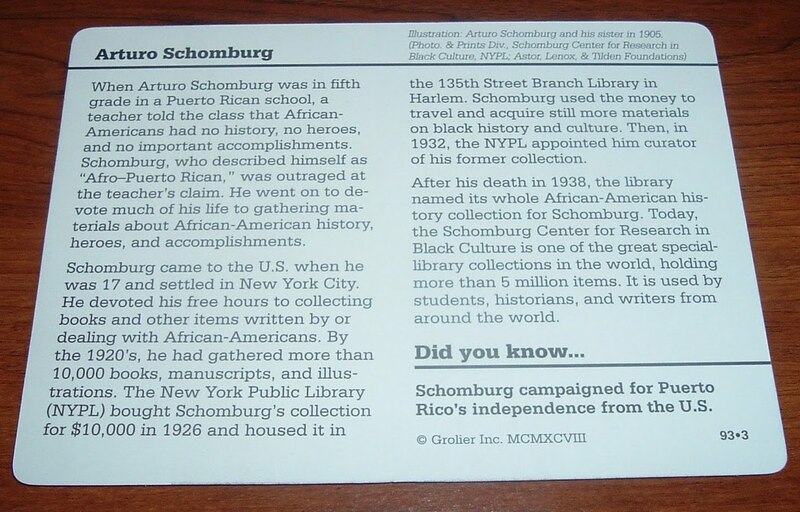 But there is such a card and it is for Arturo Schomburg (1874-1938). 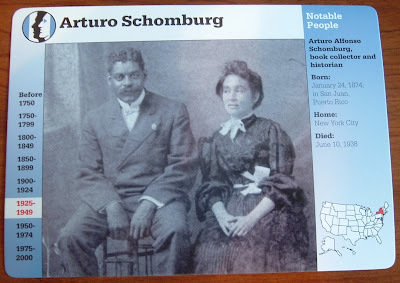 Arturo Schomburg (about whom I was also unaware) was no ordinary book collector. He was a prolific collector of books and ephemera about African American history, heroes, and accomplishments. But there was more to the man than just collecting books, as you will see. One of his elementary school teachers inspired in him the passion to collect this history, but not in the usual manner you would expect from a teacher. Schomburg and the rest of his fifth grade classmates received a lecture on how blacks had no history, heroes, or accomplishments. This was in Puerto Rico in the 1880s. Schomburg, who described himself as Afro-Puerto Rican, set out to prove that teacher wrong and soon began searching for literature about people of African descent. That spark evolved into a burning desire to collect everything he could by and about Africans and African-Americans, particularly after he emigrated to New York. Arturo Schomburg would look everywhere for books by and about African people. He also collected letters, manuscripts, prints, playbills and paintings. He was especially proud of his collection of Benjamin Banneker's Almanacs. In fact, his library contained many rare and unusual items from all over the world. The history of the Caribbean and Latin America and the lives of heroic people in that region was also an area of special interest to Schomburg. And he actively sought any material relative to that subject. In the 1920s, some thirty years after Schomburg had moved to New York, he had amassed more than 10,000 pieces for his collection. The New York Public Library (NYPL) offered him $10,000 for the collection. Schomburg accepted the offer and used the money to travel in pursuit of even more materials about black culture and heritage. 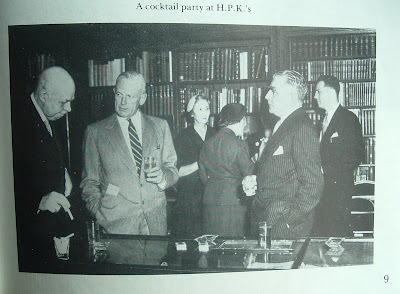 In 1932, the NYPL appointed him curator of his former collection. Schomburg died in 1938 and the NYPL decided to honor him by naming the collection the Schomburg Center for Research in Black Culture. 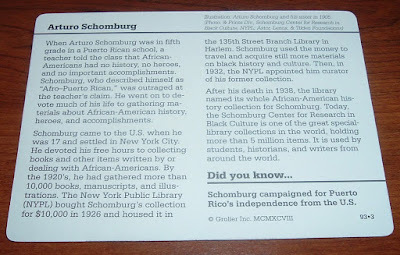 According to the Grolier card in 1998, the Schomburg Center is "one of the great special-library collections in the world, holding more than 5 million items." Likely, more than a decade later, the library can boast of even more materials. 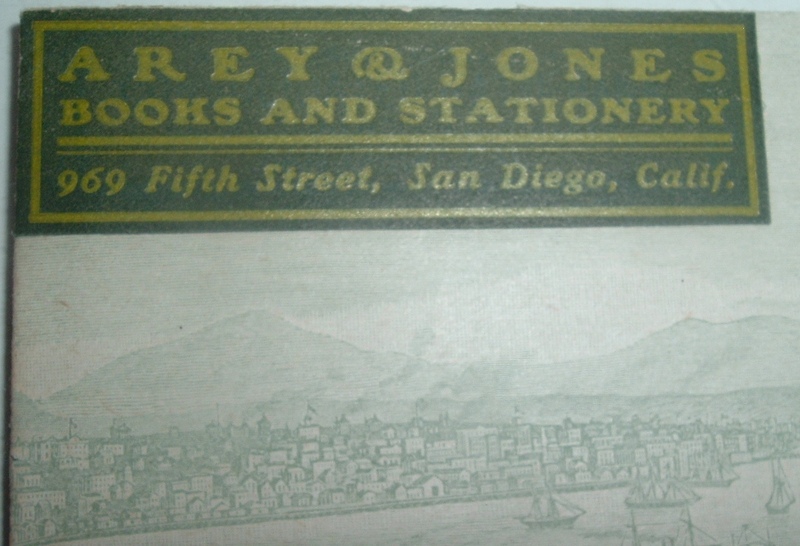 This is one of my favorite covers in my collection--an engraved image of what I assume is San Diego's harbor, an elaborate, eye-catching scene by which San Diego booksellers Arey & Jones could make a statement about their business. It's not quite what collectors term "illustrated all over" because the backside is blank. So I guess this could be called... full frontal illustrated? Whatever, it's a beautiful cover. The engraving was done by Marr & Richards of Milwaukee. This firm did many engravings of panoramic maps and bird's eye views popular in the late 1800s to early 1900s. The booksellers appear almost an afterthought, but they wisely chose a bold-colored return label to "rescue" lookers from the captivating water scene. 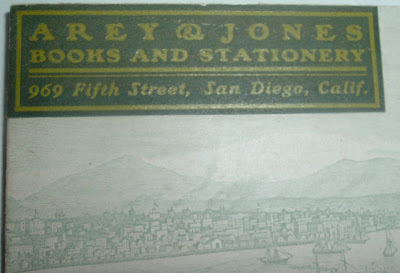 Arey & Jones announce that they will open a book and stationery business about September 15th, also that they will be pleased to receive catalogues and circulars from the trade. I wonder if they had a specialty in educational books or evolved into specialty dealers in that field because today the company is still in business under the same name, essentially, but with a completely different product. Today, Arey Jones is a leading dealer in educational technology products, which is why I see sellers of educational books segueing into sellers of educational technology. A brief history of the firm can be found HERE on their Web site. 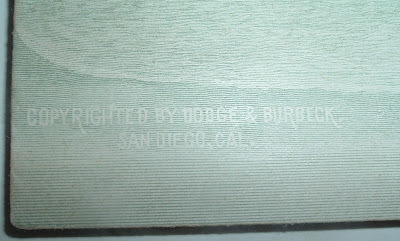 But if you look closely at the lower-left corner of the envelope, a new name emerges that will figure into the company's history at some point: Copyrighted by Dodge & Burbeck of San Diego. Dodge & Burbeck's name is associated with a few books published in the 1890s, but that's about all the information I can find on them presently. 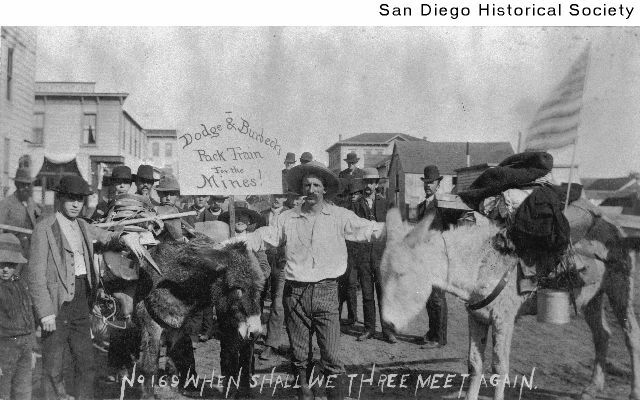 I don't know what happened to Dodge (he got the hell out of San Diego? ), but Burbeck surfaced in a few places while researching the name. I should have known to check the Seven Roads Gallery--they have labels for just about any bookseller you can think of. 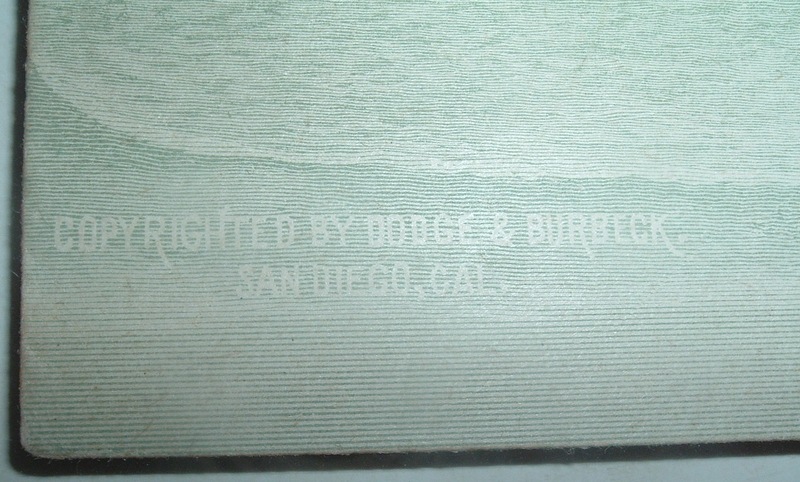 That includes E.M. Burbeck of San Diego and the same Burbeck partnered with Avery & Jones, courtesy of collector Donald Francis. The San Diego Historical Society has a couple of interesting photographs pertaining to Dodge & Burbeck. Below is an image of their bookstore in downtown San Diego, circa 1890. Following that photo is one of a group of pack mules headed for the mines. Not sure what that has to do with a book and stationery firm, but there you have it. I have a feeling that Burbeck, Avery & Jones partnered in the 1890s after Dodge & Burbeck, but before Avery & Jones set up shop in 1897. A 1901 copy of Sunset Magazine, by the Southern Pacific Co. lists Burbeck and Avery & Jones as separate booksellers among a list of those selling the magazine. E.M. Burbeck's name pops up here and there up to the 1930s and then fades from the archives available on the Internet. Of the three firms, only Arey & Jones survived not only into the 20th century, but also the 21st century. 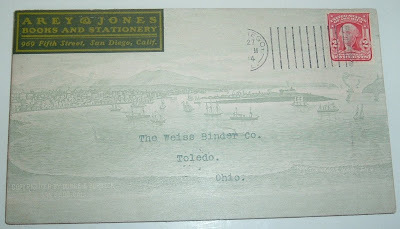 As the current-day company strives to stay abreast of cutting edge technology to competitively serve its clients, an ephemeral piece of business correspondence (an envelope) from the firm's progenitor more than one-hundred years ago displays the same spirit with the creative use of artistic technology of its day to bring attention to the business. 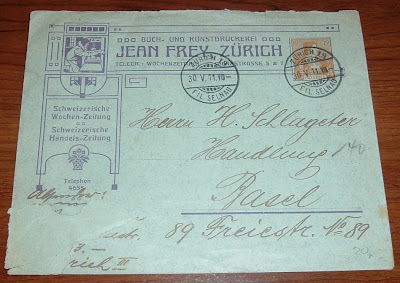 Here is a postal cover with an embossed one-cent Franklin in blue oval that Ticknor and Company put their logo on and used for correspondence. What I find notable about this cover, other than Ticknor's logo design, is the way it is addressed with as few words as possible--company, city, state. Keystone Phila Pa. And they probably could have gotten away with excluding the state abbreviation. In my collection of postal covers, they take top prize for brevity. There even seems to be some intentional formatting of the address, descending in a stair-step pattern away from the company logo, reminiscent of an e.e. cummings poem (my favorite here). 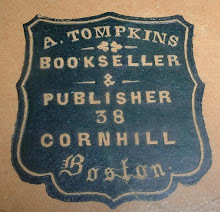 If the Wikipedia page on Ticknor is correct, and other sources seem to confirm it is, then Ticknor and Company's roots go back to 1832 when William Davis Ticknor and partner John Allen started a publishing business out of the Old Corner Bookstore in Boston. Through a series of partnerships and buyouts and new start-ups over the next fifty years, descendant Benjamin Holt Ticknor took over J.R. Osgood and Co. in 1885 under the name Ticknor and Company. Ticknor and Company operated for only four years as a separate entity. 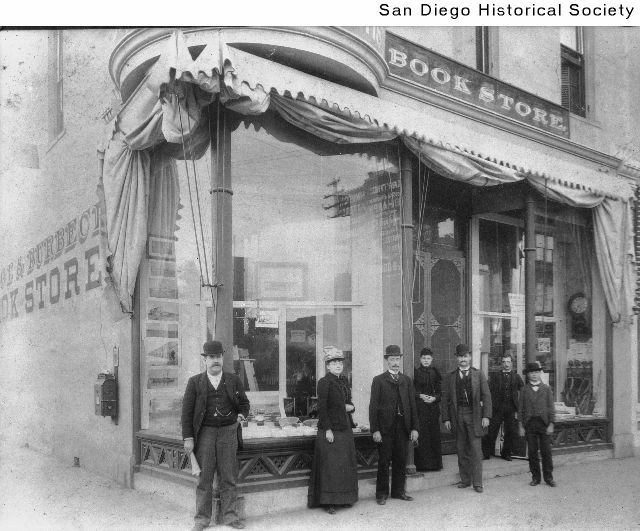 They became part of Houghton Mifflin, and Co. in 1889, but continued under the Ticknor name until 1908. 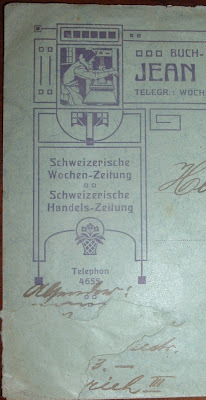 So the Ticknor and Company logo on this postal cover helps date the piece, as the postmark date is absent. It could be from the short period from 1885-1889 preceding the Houghton Mifflin purchase. 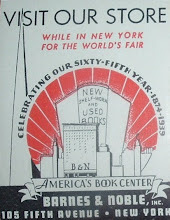 As they continued operating under the Ticknor name, they could have carried the same logo until 1908 when their name went away and there was just Houghton Mifflin. The other clue in dating this cover and company logo is in the embossed one-cent Franklin in the blue oval. 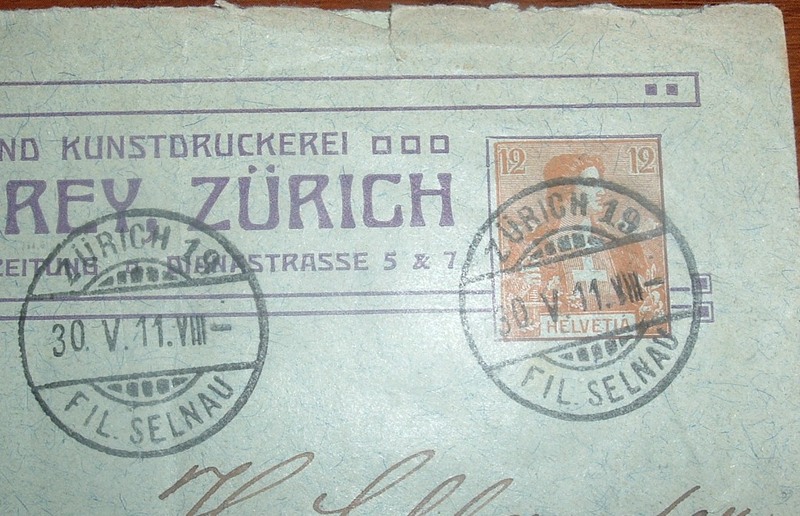 If I could trace this embossed postage to a particular date range, I could determine Ticknor and Company's appropriate historical slot in their company chronology. I found my answer at an interesting Web site, whose equally interesting creator has some fascinating tales to tell. Bob Ingraham, of British Columbia, has a Web site, Ephemeral Treasures, which philatelists and ephemera collectors will have fun perusing. Some of his life story is here, too, including surviving a plane crash in New Mexico as a teen-age reporter covering a forest fire and as a Marine in the Vietnam War, badly wounded and surviving yet again. A fascinating individual with an interesting collection of covers, stamps, and postcards. Serendipity strikes once more. It was Mr. Ingraham's meticulous research on an old cover bearing the one-cent Franklin that provided me with the information I needed to date my Ticknor and Company cover. 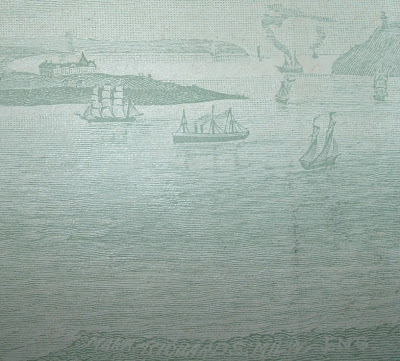 He reports in his article, An old cover takes me home (Part 2): "The Scott Specialized Catalogue of United States Stamps lists two varieties of this cover, which was issued in 1887-94: Scott U294 is printed on white paper, and U296 on amber paper." 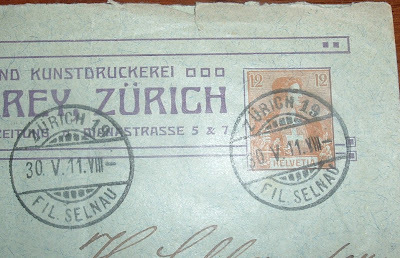 You may not be able to tell from my photos at the beginning of this post, but my Franklin-stamped cover is amber in color, which makes it the U296 in the date range 1887-1894. 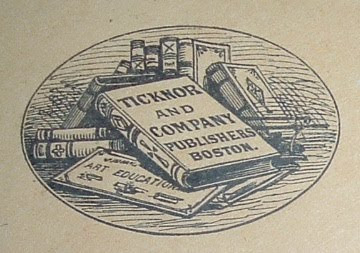 But Ticknor and Company became part of Houghton Mifflin in 1889, so I still don't know if their logo on this cover represented pre-1889, post-1889, or both. One day, hopefully, I'll have other examples from their business correspondence and be able to nail it down. In 1902, Macmillan issued this notice about the publication of a new novel. I wonder if they foresaw how important this book would become in American literature? 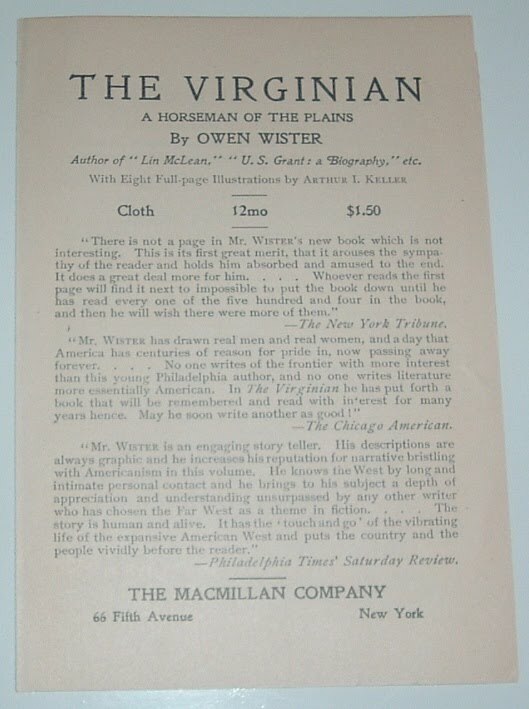 The Virginian, by Owen Wister (1902) was the first serious fictional work about the cowboy on the American frontier. The cowboy myth originated in this work--the strong, silent type who gets the girl, kills the bad guys, and doles out his brand of justice in the Wild West. It set the standard for the genre of Western fiction. 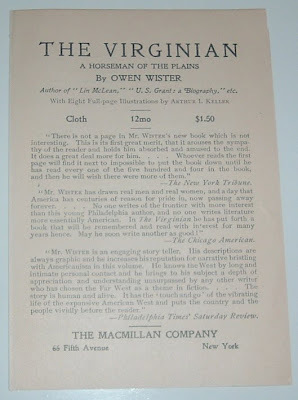 "In The Virginian, he [Wister] has put forth a book that will be remembered and read with interest for many years hence." This press release from Macmillan is printed on a single sheet, folded in half to a size about 4 X 6 inches. 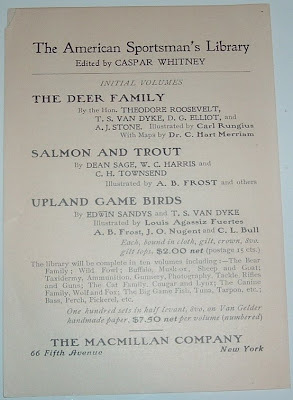 Other titles are advertised inside and on the back, but aside from The Virginian, the only other noteworthy book is one that President Theodore Roosevelt co-authored: The Deer Family, an initial volume in Macmillan's The American Sportsman's Library series. It's also interesting to note that in 1902, a first printing of The Virginian, fresh off the press would set you back $1.50. Today, a thousand times that figure would be a starting point for obtaining a decent copy. And you could spend upwards of a thousand more. That's in the $2500 neighborhood. Fans of The Virginian, Wister, or cowboys and the West will find something of interest on the Wister page at cowboypoetry.com. 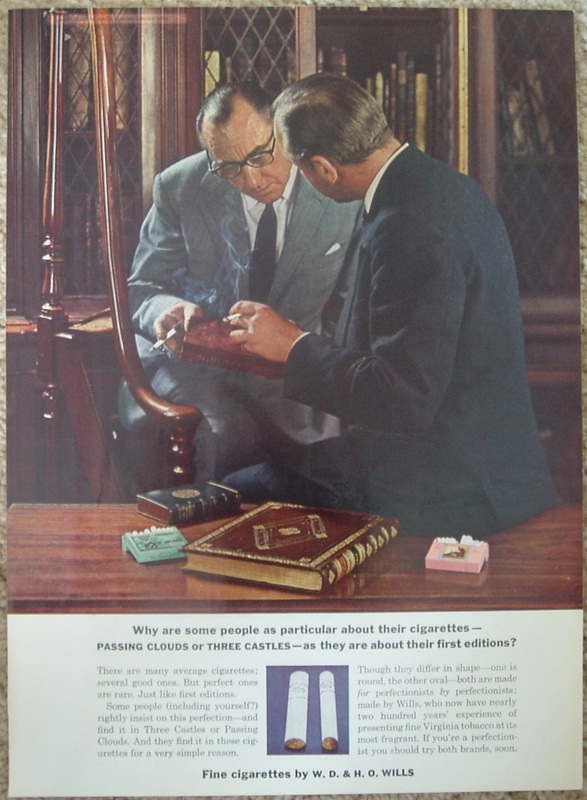 Here we have a couple of guys who are very particular about their first editions, so declares the ad copy in the vintage magazine advertisement below. Their discriminating tastes, we learn by reading further, extend to their cigarettes, particularly the British brands Three Castles and Passing Clouds made by W.D. & H.O. Wills. Their pickiness, however, does not seem to extend to the handling of their first editions, as they are exposing these volumes to smoke damage and odor, as well as risking burn marks from their cigarettes' ashes. I'm intrigued with the way ad campaigns have used rare books and bibliophiles in the past (haven't seen any in the present) to sell unrelated products. From the few ads I've collected from that earlier era, the relationship they tried to convey seems humorous, even ridiculous, by current-day standards, but in the first half of the 20th century, rare books appear to have held a much higher status for discriminating consumers than they do today. The ads I've featured here and here in the past were amusing in their use of rare books for hawking cars and whisky. This one seems ridiculous, at least by today's standards. 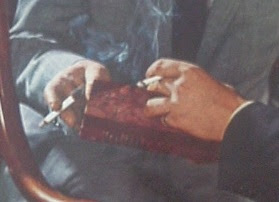 I seriously doubt you'd catch a couple of rare book collectors today examining a valuable book with cigarettes dangling in harm's way. The culture has changed for sure, with respect to cigarette smoking, but didn't bookmen back in the day understand the consequences and risk of juggling rare books and cigarettes at the same time? Or was this just an ad agency's misguided vision of how a couple of connoisseurs might interact with vellum bound incunabula and other rarities? 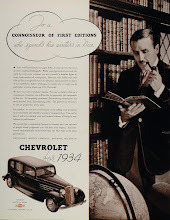 But I recall a photograph of some important bibliophiles where a similar thing was happening as in this ad, only this event included tobacco and alcohol. I mentioned incunabula because the photograph was of a famous specialist in the field, who was hosting a party in one of his book rooms with cocktails and cigarettes among the rarities. That specialist was none other than Hans P. Kraus and the book with the photograph was his autobiography: A Rare Book Saga. Perhaps this photo vindicates the ad company that produced the piece above. Perhaps there was a more relaxed attitude with certain social customs of the day. But around the stock that Kraus carried? I don't get that, but I still think the cigarette ad is amusing for the comically risky behavior of the purported knuckleheads bibliophiles, who are so particular about their first editions. I recently went to Austin for a meeting of the Texas Booksellers Association and had the pleasure beforehand of visiting with Bill Holman in his studio. I enjoyed hearing more stories about his book, The Orphans' Nine Commandments, the writing process, and anecdotes and history about books, booksellers, printing and ephemera. Several months ago, he told me he had set aside some ephemera I might like and I could get it on my next trip to Austin. 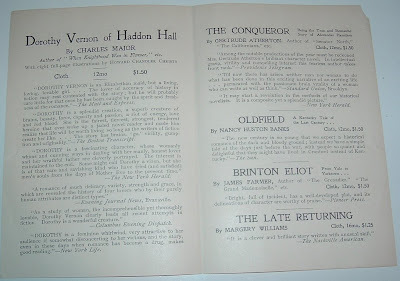 Last week, he handed me a large folder chock-full of print ephemera treasure. I was truly touched by his generosity. 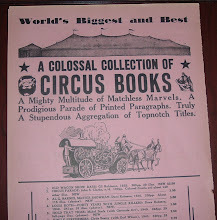 As a printer, publisher, and designer, Mr. Holman's gift to me pertained to print ephemera created for items such as publishers' book announcements and printing exhibit brochures and prospectuses--a number of them from the Book Club of California. Many, if not all, will eventually find their way onto this blog, but one jumped out at me right away for its timeliness (more on that further down) and I thought I'd make it the first piece to share here. 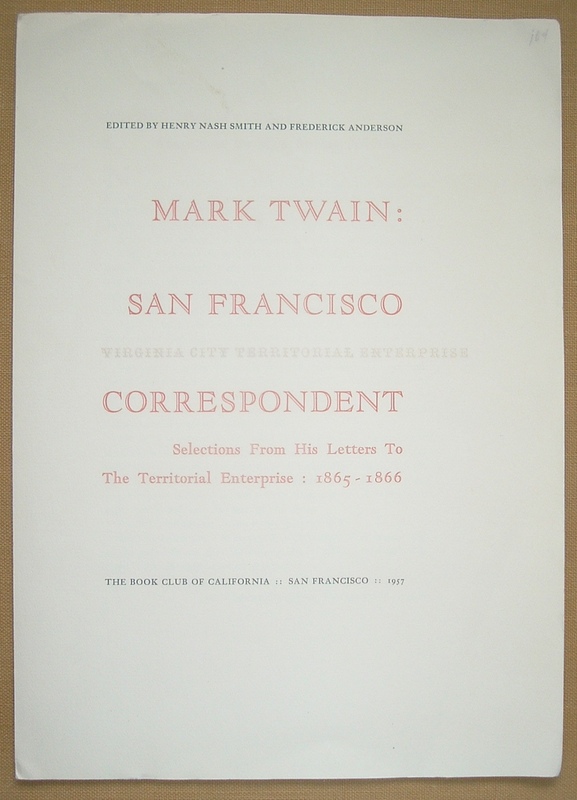 It's a prospectus for the publication of Mark Twain: San Francisco Correspondent - Selections from His Letters to The Territorial Enterprise: 1865-1866, edited by Henry Nash Smith and Frederick Anderson (The Book Club of California, 1957). At the twainquotes.com site, I found the page, Mark Twain in the San Francisco Dramatic Chronicle 1865 - 1866, which reports on Twain's journalistic endeavors in San Francisco. It contains an index of the articles he wrote for the Dramatic Chronicle, as a correspondent for the Virginia City Territorial Enterprise. 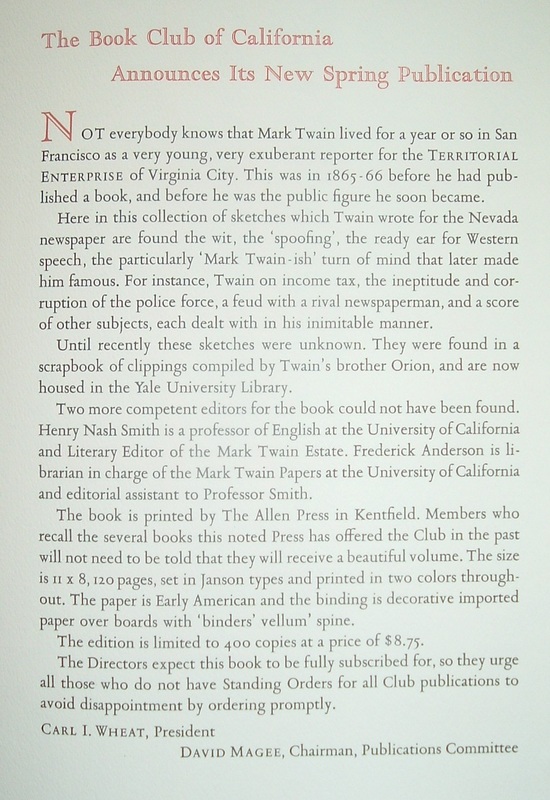 Without having read the book mentioned in the Book Club of California prospectus above, I would imagine their 1957 publication of Twain's letters to the Territorial Enterprise contains many of the articles (letters) referenced at twainquotes.com, with some scholarly commentary on the subject. 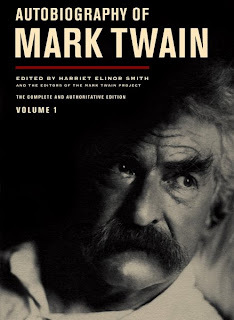 This is timely for the reason that just last month it was announced that Mark Twain's autobiography would be released later this year. Per the author's wishes, his autobiography was not to be published until one hundred years after his death, which occurred in 1910. The University of California Press will make Volume 1 (of 3 volumes) available in November. 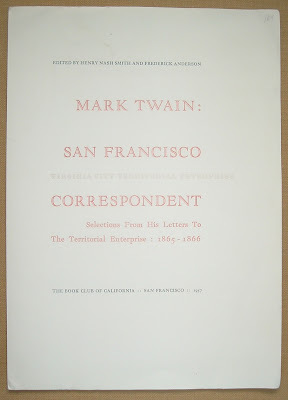 Twain's original manuscript for the autobiography resides at the University of California, Berkeley, Bancroft Library, as part of the Mark Twain Papers & Project. 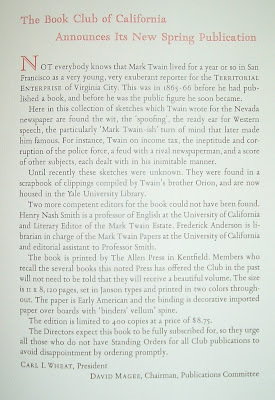 The manuscript has been available to the public for viewing and, at times, Twain's estate has even allowed small parts of it to be published. However, the November publication will be the first time the entire autobiography has been published. It will be interesting to see if there is any new material to supplement that which was published in Mark Twain: San Francisco Correspondent. Or even anything on this. Jean Frey, as best I can determine, was once a printer of books and art prints in Zurich, Switzerland about the early 1900s. Buch is book and kunstdruckerei broken apart into kunst and druckerie yields "art" and "print." The logo also helps with the translation, with its depiction of a printer at work with his printing press. The business survives today, albeit in a drastically altered and much larger form under a corporate umbrella. When I first spotted this ad cover, I knew it was European in origin. I've seen enough of these in the last few years to recognize certain design differences between American and European graphic design on antiquarian business correspondence items, including envelopes. I have a growing collection of European covers and, more often that not, the size of the European envelope, or cover, is recognizably larger than American covers. Beyond size, there are distinguishing graphic design characteristics, such as the use of lines and typography and the kind of illustration use to depict the business. My initial thoughts were that the cover design conveyed certain elements of the art deco period. 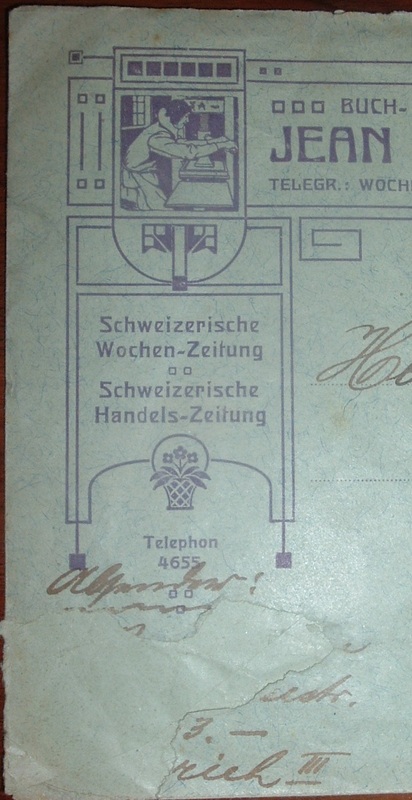 However, the 1911 date on the postmark made me wonder if the time frame were too early for that design movement. An article by Richard Whitehouse might help shed some light on graphic design trends during that time period, in which it seems that Art Nouveau was giving way to Art Deco. From my understanding of Art Nouveau, I don't see much in the way of that movement's influence in the design of this cover, but I do see something of Art Deco with the geometric shapes, clean lines, etc. The History of Graphic Design site offers a 20th century perspective on graphic design and its various influences on everything from furniture to book design. That would include advertising covers for businesses, too. I initially began collecting book trade covers and other correspondence pieces for the bits of business history they contained. However, with items such as Jean Frey's ad cover, another history begins to emerge--that of artistic or design movements and their influence on advertising and communicating information or ideas about businesses, products, and services. It should come as no surprise that practitioners of the printing and typographic arts, such as Jean Frey, would embrace the elements of a design movement to communicate their business messages. And as design movements come and go, so too does the ephemeral paper trail they inspired. Unless that paper winds up in a collector's hands. For the month of June, Seattle booksellers Lowman & Hanford Co. present their monthly publication, Books of the Month. For June 1921, that is. 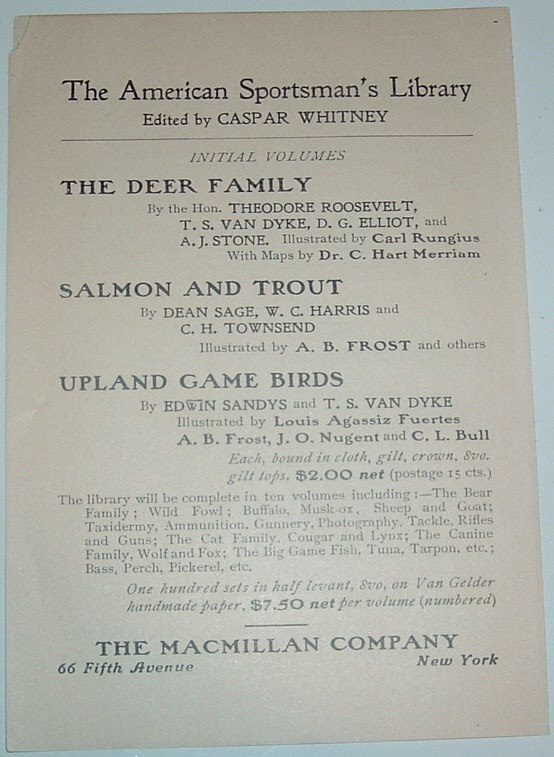 This advertising booklet is subtitled, A concise guide to the new books prepared for the customers of Lowman & Hanford Co., located at First Avenue and Cherry Street in Seattle. At first glance, I would suspect "concise" fits this small 3 X 6 inch booklet, but a closer inspection reveals how much material is crammed into 34 pages, beyond the scope of concise, for new reading suggestions. There's too much to list here, but I'll touch on some of the highlights. 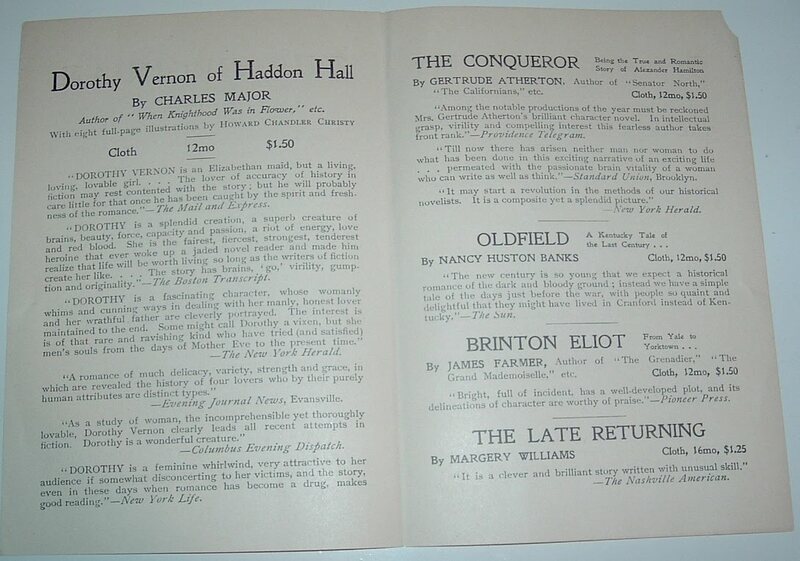 Respected Western writers Eugene Manlove Rhodes and William MacLeod Raine had new books out this month in 1921. Rhodes' book was titled Stepsons of Light, while Raine's novel was called Gunsight Pass. Edgar Guest and Booth Tarkenton were the big names of the day for this guide. Their new books were When Day is Done and Alice Adams respectively. Sometimes, you get lucky researching old bookselling firms and find what you're looking for on the first query. Such was the case for Lowman & Hanford Co.
At the Northwest Digital Archives (NWDA), I found a pretty good history of the company HERE, whose founders go back to Seattle pioneer days. The company existed in one form or another from about 1885 to the 1960s, although the official date range of the archive holdings at Seattle's Museum of History & Industry, Sophie Frye Bass Library is 1894-1955. The Lowman & Hanford Stationery and Printing Company, later the Lowman & Hanford Company, was a printing company and retail stationery business operating in the Pioneer Square area of Seattle beginning around 1885. James Lowman and Clarence Hanford were business and civic leaders in early Seattle, each with ties to Seattle's pioneer settlers. James D. Lowman (1856-1947) was born in Maryland and arrived in Seattle in 1877 at the invitation of his uncle, founding Seattle settler and sawmill owner Henry Yesler. Lowman worked as assistant wharf master on Yesler's wharf for four years, using his savings to purchase a half interest in the book store owned by W.H. Pumphrey in 1881, and buying out his partner two years later. Clarence Hanford (1857-1920) was a Seattle native, the youngest son of Washington Territory pioneers. When Hanford was 13, he began learning the printing trade at the office of the Seattle Post-Intelligencer, which was published by his older brother, Thaddeus Hanford, eventually becoming foreman of the printing department. Hanford later bought out the job-printing department and established a job-printing office with a partner, J.H. McClair, in 1879, buying out McClair’s interest in 1881. Around 1885, J.D. Lowman and Clarence Hanford consolidated their stationery and printing businesses into the Lowman & Hanford Stationery and Printing Company, with Lowman as President and principle stockholder, and Hanford as vice-president and manager of the printing and bookmaking department. The firm advertised as booksellers, stationers, printers and binders but also sold typewriters, sewing machines, pianos and organs. The new company added large presses and printed all the city's newspapers until their establishment was destroyed in the Great Fire of June 1889. The company returned to the "burnt district" after the fire, probably in temporary quarters at first, then building both the Lowman & Hanford Printing and Binding building (now the Washington Park Building) on Washington Street, along Railroad Avenue (now Alaskan Way), which they moved into in 1890, and the Lowman & Hanford building at 616 First Avenue, designed by Emil DeNeuf. Within months of the fire, they had erected and operated in the first two floors of the latter building, continuing operations during construction of the upper floors. The four-story building was completed in 1892, with three more upper floors added around 1902. Immediately next door, the 10-story Lowman Building at 107 Cherry Street was completed in 1906. These two buildings, along with the Howard Building and the Pioneer Building, forms the eastern edge of the area’s original public square. Judging by entries in city directories, the retail store appears to have gone out of business in the 1960s, with the printing company ceasing operations some years previous.